Tim Perry offers a close reading of the Ascension moment and doctrine, reflecting on how the Ascension colors perceptions of who Jesus was and is, and challenged Christ's contemporary disciples. Far from an apologetic defense of the miracle, this innovative book challenges readers that - to understand the truth of Christ's Ascending into heaven - is to become a person who has prepared to do something remarkably similar. Tim Perry is a writer and teacher and Deacon in the Diocese of Ruperts Land (Anglican Church of Canada) and lives with his wife, Rachel and their family in Manitoba. Aaron Perry is a minister of The Wesleyan Church and a pastor in Brockville, Ontario. 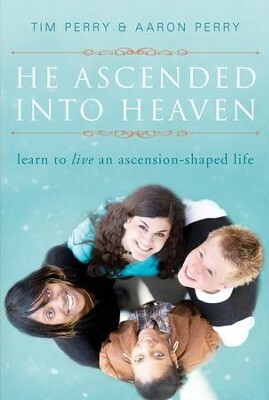 I'm the author/artist and I want to review He Ascended into Heaven: Learn to Live an Ascension-Shaped Life - eBook.